GET IT BEFORE IT DISAPPEARS!!!! 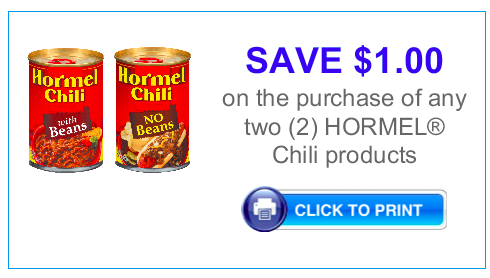 Click the picture above to get you $1/2 Hormel Chili products (exp 5/19)! Makes them only $0.50 each at Dollar Tree!